The birds and the bees….and it’s not what you think! 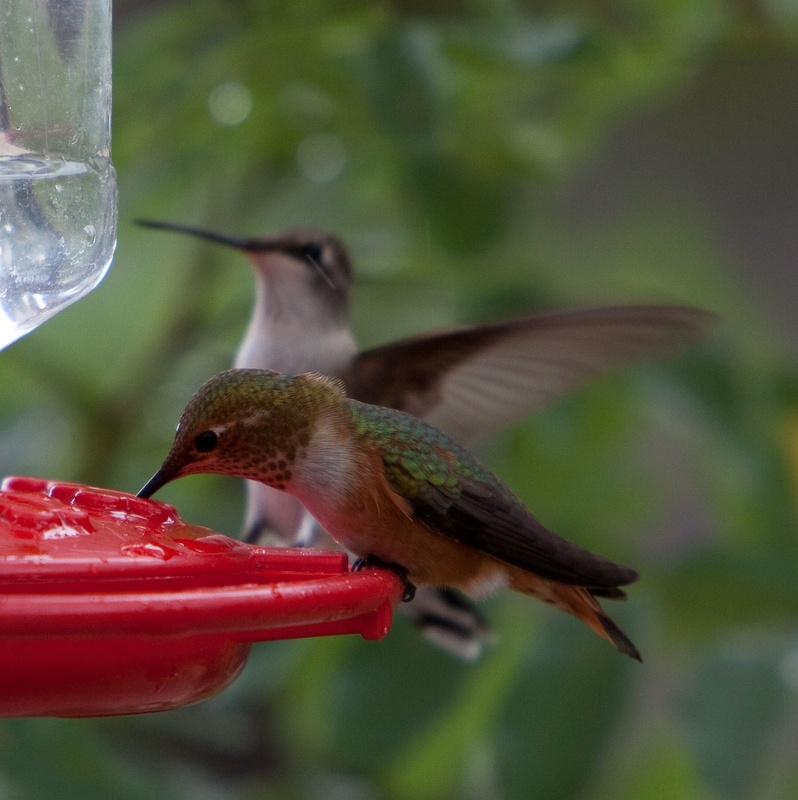 I really love watching my hummingbirds feed as I sit on my back patio. (Fabulous photo by my good friend Louise) I’ve been gone for a few weeks and was surprised when I got back to see that the bees and wasps have over took my hummer feeders. A farmer down the road from us has moved bee hives onto his property. 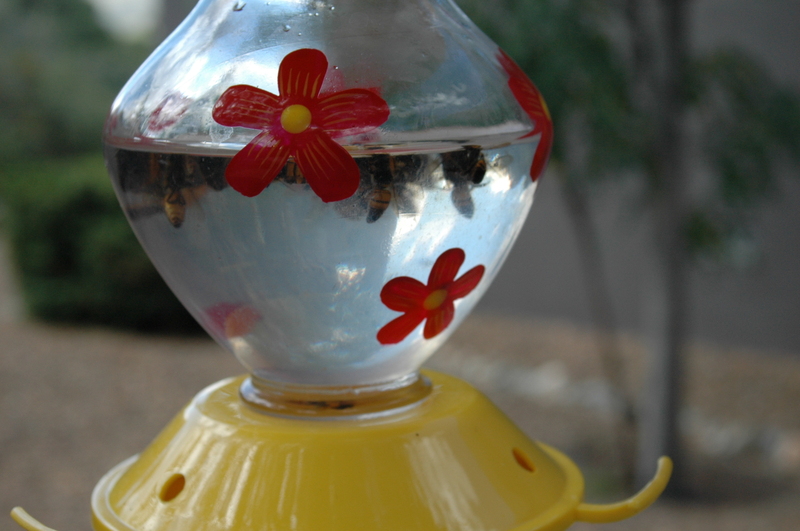 Don’t get me wrong, I love honey, but I don’t like bees scaring off my hummers. After a few days of watching, I noticed the birds might get close to the feeder, but would not land to feed if the bees or wasps were there. A quick google told me that not only would the wasps and bees chase off hummingbirds, but they can sting and even kill them. If this is true, it’s serious. I took out the little feeding spouts making the holes bigger, but the bees all crawled inside and drowned. 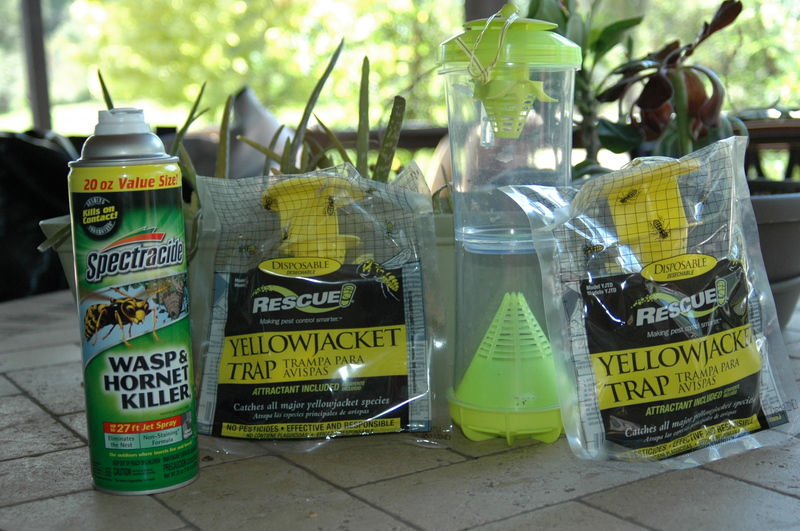 After replacing the spouts, I had some success, but then I needed a bee suit to replace the sugar-water. 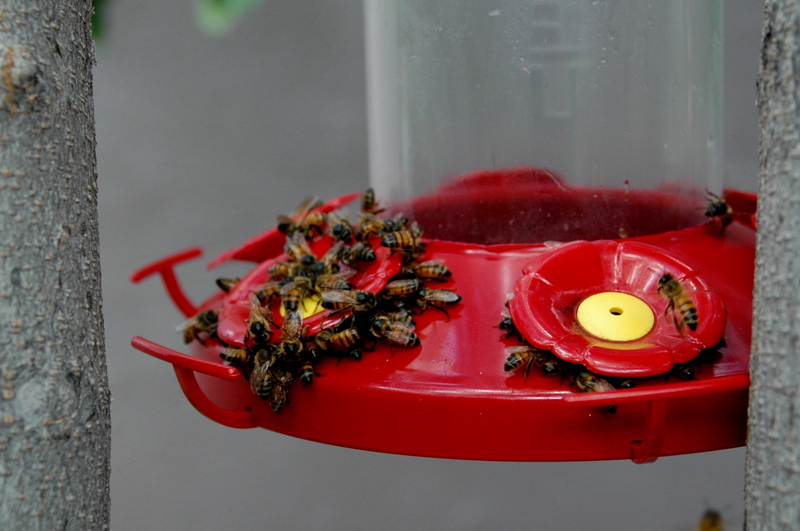 Also, it attracted the bees, but I was still fighting the wasps at the hummer feeders!